Imagine an Alarm Clock on your phone or tablet that will motivate you to get out of bed and work out! Diamond Dallas Page has created the first video alarm clock of its kind. 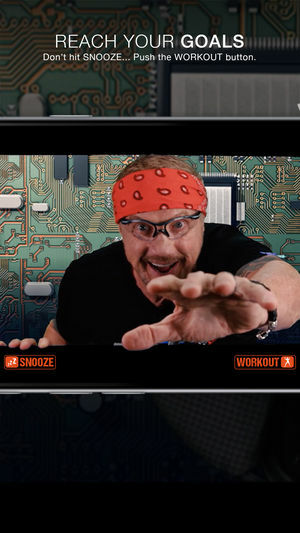 Now you can be awakened by video of DDP and his friends on your mobile device… you’ll laugh, be inspired, and be motivated to get out of bed and make the most of of your day. DDP's Video Alarm was created to work in tandem with the DDP YOGA NOW! application - but feel free to use it separately if you enjoy it! An “INSPIRE ME” button that will give you some inspiration when you need it - straight from DDP himself. Growing number of different alarms that can be unlocked if you are a DDP YOGA NOW! subscriber.